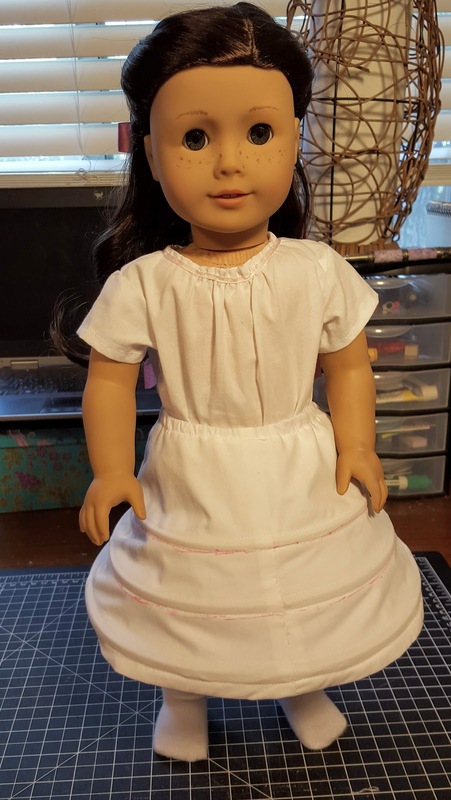 I've been having lots of of fun making doll clothes lately. 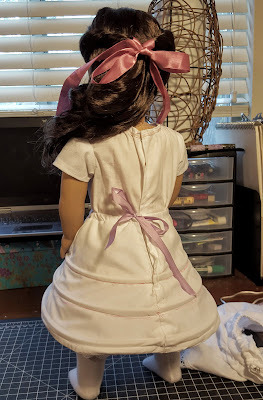 I tried out the Victorian Unmentionables pattern from Pixie Faire because I thought it would be a good base layer for any fancy ball gowns or princess dresses I want to make in the future. 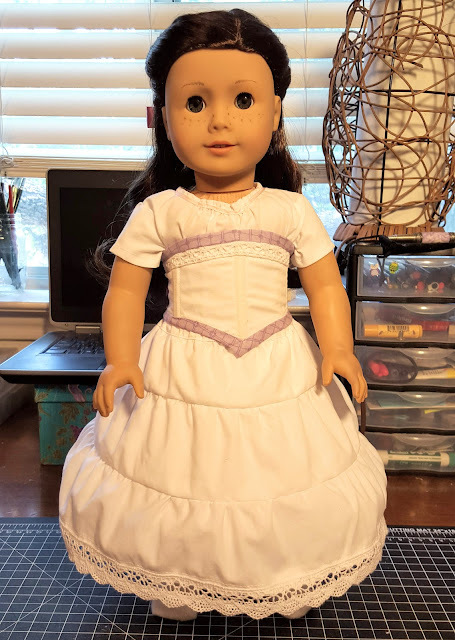 I also have a deep love of Civil War era dresses and underthings because of my previously mentioned Little House on the Prairie obsession of my youth. I made the corset, petticoat( underskirt), and crinoline (hoopskirt). I didn't feel the need to make another chemise (underdress) or another pair of drawers (underpants) and just re-used the ones I made from the Kirsten's Pretty Things pattern. This is how the hoopskirt turned out. Pretty good! I didn't have enough boning of the right size, so I used some heavy-duty zip ties and cut them in half down the center--this was not ideal because the edges were a bit jaggedy and got caught a lot as I tried to slide them into the channels...which were not perfect and every time there was a seam, they also got caught. There were a lot of seams because the skirt is 4 gored sections. It was annoying. But fortunately, since the garment is so small, it was a short amount of frustration. 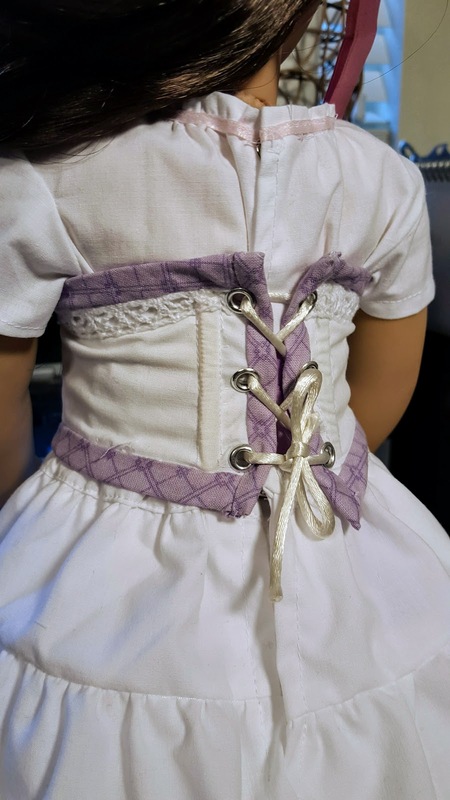 It closes with a drawstring at the waist. Here is how the petticoat turned out. I really like how it ended up! It was very easy to make and looks great over the hoopskirt. No complaints about the pattern for this. 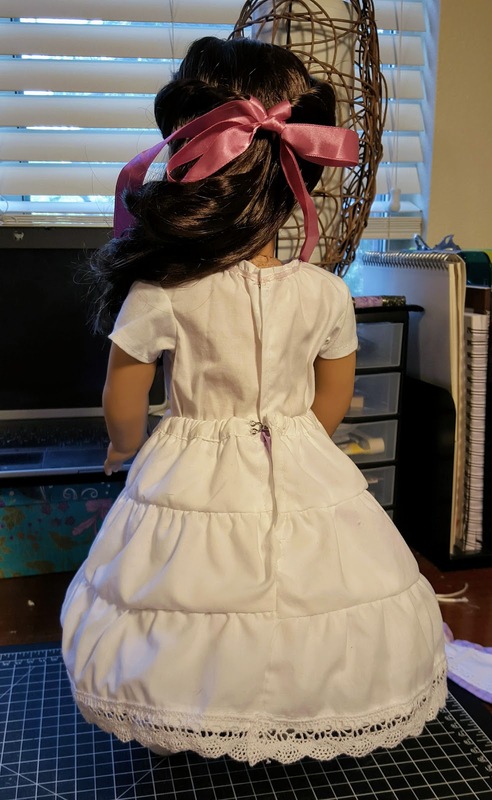 I used elastic and a hook-and-eye to close it in the back. And this is how the corset turned out...or rather, didn't turn out. This pattern for a tiny corset was INSANELY complicated. I ended up scrapping it an drafting my own much simpler corset pattern. The amount of tiny curves and tiny boning channels and tiny little everything was insanely frustrating. 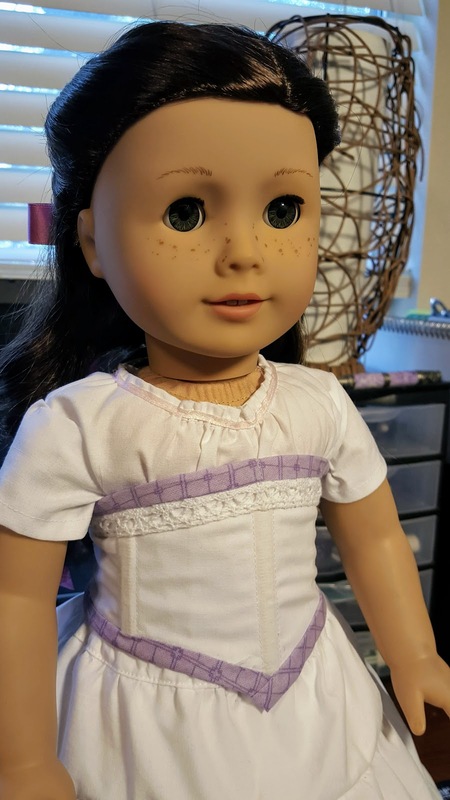 Since I'm not trying to get my doll to have a civil-war era hourglass figure, I went ahead and used less boning, a single opening, and fewer eyelets. I know it's not historically accurate and there is a little bit of creasing on the sides, but I like how it looks and it wasn't worth the headache to follow the pattern. Do not recommend! Of course, if you're skilled at making corsets and boned bodices, this might be easy for you--but that's a pretty advanced sewing skill. I consider myself at the low end of advanced and I hate doing those, haha! Overall I'm happy with this look, even if the pattern was a bit of a bust.